While you may not have heard about baobab oil just yet, as it’s not as widely known as more common oils like jojoba, it’s been touted as the next “big thing” when it comes to natural skin and haircare, so you’re likely to hear a lot more about it in the near future. The oil is extracted from the seeds of the fruit that blooms on baobab trees, some of which can live a thousand years or more. The trees are native to Africa and have thick trunks with thin branches. Thanks to their spidery, root-like arms, they’re often referred to as “upside down trees.” The tree is also known as the “Tree of Life,” due to its nutrient-dense fruit that serves as a very nourishing food during the dry season – and, as the vast trunks of the trees store gallons of water, animals like elephants chew on the bark for hydration. Baobab powder, made from the fruit, contains more antioxidants than any other fruit on Earth, and has been touted as an incredible superfood, but of course, this fruit also produces baobab oil. The flowers of baobab trees bloom once a year, opening up at night. After being pollinated by hungry wasps, bees, and bats, the flowers produce fruit, or pods, which house the seeds used to create this prized oil. Baobab oil is very rich in nutrients – contains all three omega fatty acids: omega 3, 6 and 9, as well as containing some rare fatty acids and a host of vitamins. It includes vitamins A, D, E and K, as well as dihydrosterculic acid, malvalic acid, arachidic acid, linoleic acid, oleic acid, palmitic acid, and stearic acid. Here’s how you can use baobab oil to improve your skin, hair and more! Whether your skin is showing signs of aging, has been damaged by the sun or the use of harsh skin products, baobab oil can help, thanks to its many nourishing ingredients that have to ability to heal the skin from deep within. As the oil is rich in many different vitamins, it does an incredible job at combating the early signs of aging, and due to its anti-inflammatory properties, it can reduce redness and inflammation. As it’s easily absorbed into the skin, without clogging pores or leaving a greasy residue, it’s great for all skin types and will leave your skin nice and smooth. Cleansing with baobab oil is an excellent method for getting clearer skin. Because oil dissolves oil, cleaning with a nutrient-rich oil like baobab oil won’t leave your skin greasy. You may want to use it as part of a recipe – one popular natural cleanser includes one part baobab oil, one part jojoba oil and five drops of sea buckhorn oil. 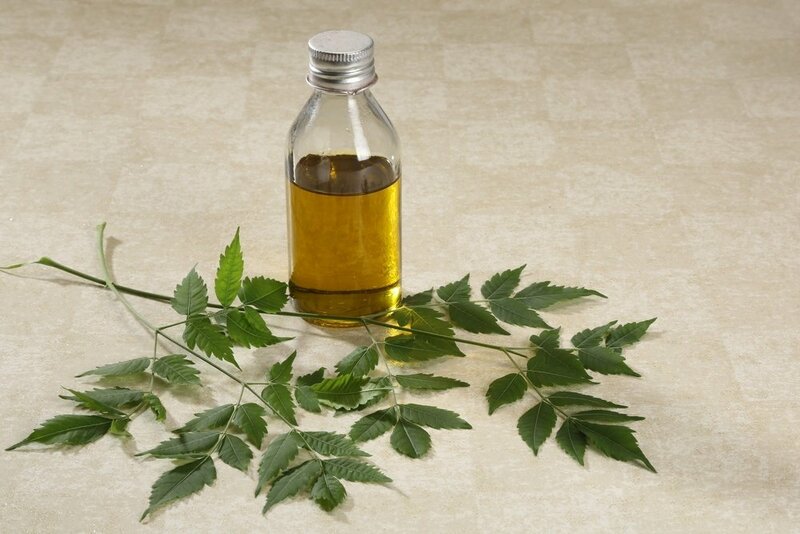 Combine the oils together and then gently massage it onto your face and neck and then rinse with water. As baobab doesn’t leave the skin with a greasy residue, absorbs well and has a silky, smooth texture, it’s great to use as your regular moisturizer too. It’s ideal to use all over the body. You can apply a small amount onto your skin after getting out of the shower to help lock in moisture for wonderfully smooth, soft, hydrated skin. Alternatively, you can create your own DIY non-greasy moisturizer by using it as part of a recipe. Just fill up a 4 oz dark-colored or amber dropper bottle with 2 ounces of baobab oil and an ounce of grapeseed oil. Put the lid on and then shake well to mix. Now add 10 drops of lavender essential oil and 5 drops tea tree essential oil, put the lid on and shake well again to ensure the oils are combined thoroughly. All you’ll need is a few drops! Due to the oil’s wealth of nutrients, it will sink deep within your skin to nourish the skin cells and promote gorgeous, healthy skin. Baobab oil can also be used to eliminate those unsightly under-eye bags that can be caused by late nights, stress and genetics. It also helps moisturize around the eyes to combat dryness. Make your own eye cream with baobab oil by adding 6 teaspoons of baobab oil, 1 teaspoon of beeswax, 5 drops of geranium essential oil and 5 drops carrot seed oil to your blender. Blend until the desired creamy consistency and texture is achieved and then store in a lidded glass jar in a cool, dark place. Use it twice daily as the last step in your usual facial skincare routine. As baobab oil is jam-packed with lots of vitamin C, it’s especially good for fighting signs of aging as it helps to stimulate collagen production in the skin while also promoting the restoration of mature skin. If you won’t a powerful collagen booster, combine baobab oil with other essential oils that are known to improve collagen production by blending the following in a 2-ounce amber or dark-colored bottle: 1 tablespoon baobab oil, 1 tablespoon argan oil, 1 tablespoon chia seed oil, 5 drops lavender essential oil, 4 drops lemon essential oil, 5 drops neroli essential oil and 4 drops geranium essential oil. Close the lid tightly and shake gently to ensure all oils are combined. Apply 3 to 4 drops of this collagen-boosting serum onto your skin just before bedtime for the best results. Thanks to baobab oil’s strong anti-inflammatory properties, it can help treat inflammatory skin conditions like eczema, psoriasis, and rosacea. It will help hydrate dry areas, reduce redness and eliminate the incessant itch that can occur with eczema. Apply it onto affected areas as soon as you notice the condition start to flare up, whenever it starts to feel dry and itchy, as well as after you get out of the shower or a bath on areas prone to problems. Also due to baobab’s oil ability to stimulate collagen and preserve skin elasticity, along with its high level of vitamins, it can not only help prevent stretch marks but it can reduce their appearance. Use it liberally on the abdomen and breasts when pregnant as well as on any area that stretch marks have already begun to appear. Just like baobab oil is great for moisturizing the skin, it’s very effective for moisturizing and soothing chapped lips. All you need to do is rub a small amount gently onto your lips until the problem is gone – usually within just a day or two. If your hair is dry and dull you can use baobab oil to revive it with this amazing hot oil treatment. Combine one-third cup of baobab oil with one-third cup of jojoba oil and 10 drops lavender essential oil. Mix all of the oils thoroughly in a small- or medium-size bowl and then place that bowl into a larger bowl of boiling water. Once the oil is hot, part your hair and then gently massage the oil mixture into your scalp, working down through the ends of your hair. Wrap a wet, hot towel around your head and leave it on until the towel has cooled. Afterward, you can wash and condition as you normally would. Once out of the shower, add a few drops of the mixture into the palm of your hands and rub them together. Apply it to the length of your hair (not on your scalp) to seal in moisture. You can also add a few drops of baobab oil to your usual conditioner to boost its effects and hydrate your hair. If your scalp is inflamed and irritated, you can make a healing scalp cream using baobab oil too. Add a tablespoon of baobab oil, a quarter cup softened coconut oil and 5 drops peppermint essential oil to a bowl and whip the ingredients using a hand mixer for a minute or so, until all ingredients are well-blended and have a creamy texture. Add this mixture to a lidded glass jar. Use it by applying it all over your scalp about 30 minutes before showering. If your gums or swollen, inflamed, painful, and/or infected, you can use baobab oil to relieve this problem and improve the health of your gums. Simply massage a small amount directly onto your gums. Baobab, as mentioned, is also considered a powerful superfood. Don’t consume it in oil form, however. It also comes in powder form that can then be made up into a drink, added to a smoothie or sprinkled on oatmeal. It’s known for its ability to boost energy levels and improve alertness as well as to support the immune system, increase iron levels and help one maintain a healthy nervous system. Founder of Organic Burst Katya Igumentseva, told Huffington Post that she uses it as an ideal post-workout drink, adding a couple of teaspoons of the powder to water to replenish electrolytes. When buying Baobab oil, it’s important to choose a 100% pure bottle that has been extracted through cold pressing and that has not been refined. You should also opt for a certified organic product and one packaged in a dark glass bottle to reduce sunlight exposure and improve longevity. This 100% Pure Cold Pressed USDA Certified Organic Baobab Seed Oil from Renewalize fulfils all of the above criteria, as well as being the best reviewed Baobab oil on Amazon. You can purchase it here.